Rod previously worked in agriculture, conservation and in the offshore oil industry before joining BAS in 2000. Aside from a 3 year role with Antarctica New Zealand as an Operations Planner organising science projects out of Scott Base, Rod has worked in a variety of positions at BAS since 2000. These roles include Freshwater Field Research and Station Leader at Signy station, Station Support Manager at Rothera station, and Winter Station Leader at both Rothera and King Edward Point research stations. These Antarctic roles have involved managing a wide range of Antarctic logistics including: helicopter/fixed wing usage and scheduling, coordination of operational procedures, ship mooring and cargo operations, leadership and management of Antarctic research stations, planning of science projects, and the coordination of manpower and station resources. 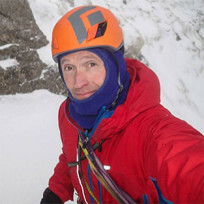 On a more practical basis Rod has wide ranging field experience in boating, mountaineering, lake-ice work, and is keen on safely managing risk in these environments. The current role of Station Operations Manager for the BAS island stations involves the planning and implementation of logistics support for KEP, Bird Island and Signy research stations. These duties involve recruitment, procurement of equipment, supplies and materials, technical support, and the planning of scientific field projects.